Wolf Commercial Real Estate, a leading Marlton commercial real estate broker that specializes in Marlton office space for buyers, sellers, owners and tenants. We are experts in Marlton commercial real estate listings and services. The team at our Marlton commercial real estate brokerage firm works with our clients and prospects to help them achieve their real estate goals by providing ongoing detailed information about currently available Marlton office space. At Wolf Commercial Real Estate, a premier Marlton commercial real estate broker, our Marlton commercial real estate services encompass the highest quality of service and proven expertise. For more information about Marlton office space for sale or lease, please contact the team at Wolf Commercial Real Estate, a Marlton commercial real estate broker. Wolf Commercial Real Estate, a leading Marlton commercial real estate broker with expertise in Marlton commercial real estate listings and services, now has available premier Marlton office space for lease at The Shoppes and Offices at Renaissance Square Marlton NJ. This Marlton professional office space for lease at The Shoppes and Offices at Renaissance Square Marlton NJ has up to +/- 39,720 square feet of Marlton professional office space for lease. This professional office space in Marlton is home to two full-service, sit-down restaurants. Individuals or corporations interesting in this Marlton professional office space for lease will be joining Virtua health care system and Evesham Mortgage as fellow tenants. Please call for more information on the lease price for this professional office space in Marlton and this Marlton office space for lease has both anchor and in-line spaces available. This Marlton office space for lease is being offered for immediate occupancy by Wolf Commercial Real Estate, a Marlton commercial real estate brokerage firm that specializes in Marlton commercial real estate listings and services. There is ample parking around all four sides of this Marlton professional office space for lease and this Marlton office space for lease is located on Route 70 and offers convenient access to both Route 73 and I-295. Leasing opportunities for this professional office space in Marlton are now available through Wolf Commercial Real Estate, a leading Marlton commercial real estate broker with expertise in Marlton commercial real estate listings and services. This Marlton office space for lease has new pylon and monument signage and there are 338 new luxury rental apartment units under construction adjacent to this Marlton office space for lease. Join the multiple long-standing tenants at this Marlton office space for lease. In addition, this professional office space for lease in Marlton is fronted on Route 70 by an open space environment with new jogging paths, walkways, and a pond. For more information about this Marlton office space for lease at The Shoppes and Offices at Renaissance Square Marlton NJ, or about any other Marlton commercial properties for sale or lease, please contact Jason M. Wolf (856-857-6301; jason.wolf@wolfcre.com) or Christopher R. Henderson (856-857-6337: chris.henderson@wolfcre.com) at Wolf Commercial Real Estate, a Marlton commercial real estate brokerage firm. Wolf Commercial Real Estate, a full-service CORFAC International brokerage and advisory firm, is a premier Marlton commercial real estate broker that provides a full range of Marlton commercial real estate listings and services, property management services, and marketing commercial offices, medical properties, industrial properties, land properties, retail buildings, and other Marlton commercial properties for buyers, tenants, investors and sellers. Please visit our websites for a full listing of Marlton commercial properties for lease or sale through our Marlton commercial real estate brokerage firm. Bet365 is a leading online gambling company, headquartered in Britain, with more than 35 million global customers. The new office will mark Bet365’s entry into the US market. The landlord, V R I One and Two Greentree Associates, a Veritas Real Estate subsidiary, is a full-service real estate investment, management and services firm with a growing portfolio of high-quality owned and managed properties in the Philadelphia/South Jersey area, totaling close to 1 million square feet. For more information about this Marlton office space for lease please contact WCRE @ 856-857-6300. WCRE is proud to have exclusively represented Gateway Mortgage Group in the leasing of 4,500 Square Feet of office space located at 1 Holtec Drive in Marlton, New Jersey. Gateway Mortgage Group is one of the largest privately held mortgage companies in the Country with a core purpose to originate and service home loans. Gateway Mortgage Group selected 1 Holtec Drive as their new South Jersey headquarters because of its prestigious ambiance and great location. 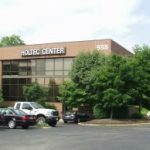 1 Holtec Drive is owned and operated by Tequesta Properties and is located in the heart of the Marlton Business District providing direct access to Route 73 & within close proximity to Route 70, I-295 and New Jersey Turnpike. Wolf Commercial Real Estate, a premier Marlton commercial real estate brokerage firm with expertise in Marlton commercial real estate listings and services, is now offering Marlton office space for sale at 651 Route 73 North Marlton NJ. This Marlton professional office space for sale is a highly visible office condo. This Marlton office building for sale has 1,000 square feet of professional office space for sale in Marlton. The asking sale price for this professional office space in Marlton is $159,000 and this Marlton office building at 651 Route 73 North Marlton NJ is a professionally planned and designed suite. 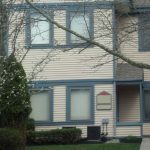 There are three exam rooms as part of this professional office space in Marlton and there also is a private office included in this Marlton office space for sale. This Marlton office space has a reception area for the public’s convenience, there also is a bathroom for staff use as part of this Marlton professional office space. This Marlton professional office space for sale is available for immediate occupancy through Wolf Commercial Real Estate, a Marlton commercial real estate broker that specializes in Marlton commercial real estate listings and services. This professional office space for sale in Marlton is stylishly landscaped. This Marlton professional office space for sale is being brokered through Wolf Commercial Real Estate, a Marlton commercial real estate brokerage firm with expertise in Marlton commercial real estate listings and services. There is building suite signage available at this Marlton office building for sale and there also is ample parking at this professional office space in Marlton. 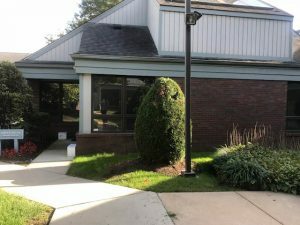 This Marlton office building for sale at 651 Route 73 North Marlton NJ offers immediate access to Route 73 and, in addition, this professional office space for sale in Marlton is close to Route 70, Interstate 295, and the New Jersey Turnpike. More than 183,000 residents live within a five-mile radius of this professional office space for sale in Marlton and the average household income in the same area is $110,330. Join a vibrant office park community with this Marlton office building for sale. For more information about this Marlton office space for sale at 651 Route 73 North Marlton NJ or about other Marlton commercial properties for sale or sale, please contact Ryan Barikian (856-857-6307; ryan.barikian@wolfcre.com) or April Loomis (856-857-6308; april.loomis@wolfcre.com) at Wolf Commercial Real Estate, a Marlton commercial real estate broker. Wolf Commercial Real Estate, the leading Marlton commercial real estate brokerage firm that specializes in Marlton commercial real estate listings and services, is offering prime Marlton office space for lease at 400 Route 73 Marlton NJ. This 21,848 sf Marlton professional office space is the former F.V. Evans Elementary School. 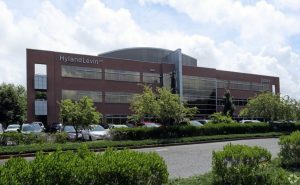 Situated on approximately 11.86 acres of land, this Marlton office building closed its doors at the end of June 2017. There is excellent visibility available on the heavily traveled Route 73 from this Marlton professional office space for lease. This Marlton professional office space for lease is being offered through Wolf Commercial Real Estate, a Marlton commercial real estate broker with expertise in Marlton commercial real estate listings and services. Please contact Wolf Commercial Real Estate for more information about the asking lease price for this professional office space in Marlton. This Marlton office space for lease at 400 Route 73 Marlton NJ contains 14 classrooms. Clients interested in leasing this professional office space in Marlton will find it also includes a 6,248 sf gymnasium. This professional office space in Marlton recently has undergone several additions and renovation; the updates at this Marlton office space for lease include a new wing, a new roof, and a new playground. Also, this Marlton professional office space for lease has, over the years, been constantly updated and refreshed. This Marlton professional office building is available for lease through Wolf Commercial Real Estate, a Marlton commercial real estate brokerage firm with expertise in Marlton commercial real estate listings and services. There is a bus drop off area at this Marlton office space for lease at 400 Route 73 Marlton NJ and this Marlton office space for lease features 87 parking spaces. There are multiple ball fields and play areas at this professional office space in Marlton and interested tenants will find street pylon signage at this Marlton professional office space for lease. For more information about this Marlton office space for lease at 400 Route 73 Marlton NJ or about any other Marlton commercial properties for lease, please contact Jason Wolf (856-857-6301; jason.wolf@wolfcre.com) at Wolf Commercial Real Estate, a Marlton commercial real estate broker that specializes in Marlton commercial real estate listings and services. 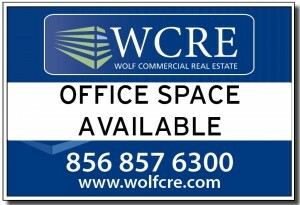 Wolf Commercial Real Estate, a full-service CORFAC International brokerage and advisory firm, is a premier Marlton commercial real estate broker that provides a full range of Marlton commercial real estate listings and services, property management services, and marketing commercial offices, medical properties, industrial properties, land properties, retail buildings and other Marlton commercial properties for buyers, tenants, investors and sellers. 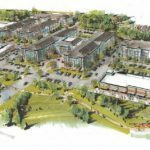 Please any of the numerous Wolf Commercial Real Estate websites for a full listing of Marlton commercial properties for lease or sale through our Marlton commercial real estate brokerage firm. Wolf Commercial Real Estate, a premier Marlton commercial real estate brokerage firm with expertise in Marlton commercial real estate listings and services, now is offering a premier school/campus property at 400 Route 73 Marlton NJ as prime Marlton office space for lease. The F.V. 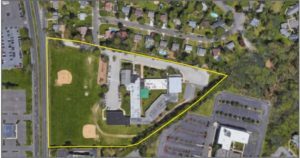 Evans Elementary School is planning to close at the end of June 2017 and there are 78,231 sf of Marlton office space for lease on this 11.86-acre property. This office space for lease in Marlton has undergone several additions and renovations including a new wing and roof. This Marlton office space for lease also recently received a new playground. With its campus-like atmosphere, this Marlton office space for lease offers excellent visibility on the heavily traveled Route 73 in Marlton NJ. The Virtua Marlton Hospital is close by this Marlton office space for lease at 400 Route 73 Marlton NJ as well. Please call for more information about the asking price for this office space for lease in Marlton which is available for immediate possession through Wolf Commercial Real Estate, a Marlton commercial real estate broker that specializes in Marlton commercial real estate listings and services. The Marlton office space for lease at 400 Route 73 Marlton NJ has street pylon signage available and there is an adjacent bus drop-off area. This office space for lease in Marlton at 400 Route 73 has 41 classrooms. There’s also a 6,248-sf gymnasium at this Marlton office space for lease along with a 2,172-sf library. A new playground area also was recently added to this office space for lease in Marlton. Interested leasing clients will find multiple ball fields and play areas at this office space for lease in Marlton. Such major Marlton shopping centers as The Promenade at Sagemore and Willow Ridge Shopping Center are near this Marlton office space for lease through Wolf Commercial Real Estate, a Marlton commercial real estate brokerage firm with expertise in Marlton commercial real estate listings and services. This Marlton office space for lease sits just on the edge of this historic downtown area of Marlton and there are 87 parking spaces available for the new occupants of this office space for lease in Marlton. For more information about this Marlton office space for lease at 400 Route 73 Marlton NJ or about any other Marlton commercial properties for lease or lease, please contact Christopher Henderson (856-857-6337; chris.henderson@wolfcre.com) or Jason Wolf (856-857-6301; jason.wolf@wolfcre.com) at Wolf Commercial Real Estate, a Marlton commercial real estate broker. Wolf Commercial Real Estate is a leading Marlton commercial real estate broker that provides a full range of Marlton commercial real estate listings and services, marketing commercial offices, medical properties, industrial properties, land properties, retail buildings and other Marlton commercial properties for buyers, tenants, investors and sellers. Please visit our websites for a full listing of Marlton commercial properties for lease or lease through the team at our Marlton commercial real estate brokerage firm.